I absolutely loved What We Do In the Shadows the first time I watched the film. It was hilarious, delightful, and there were instances that made me laugh so hard I was crying (Jemaine Clement half transforming into a cat anyone? ), so I had mixed feelings when I heard FX was making a series based on the film. Sure, Taika Waititi and Jemaine Clement would still be involved, but they wouldn’t be in it, which made me very nervous. Having finally seen the pilot episode, I can happily say all of my worry was unfounded. 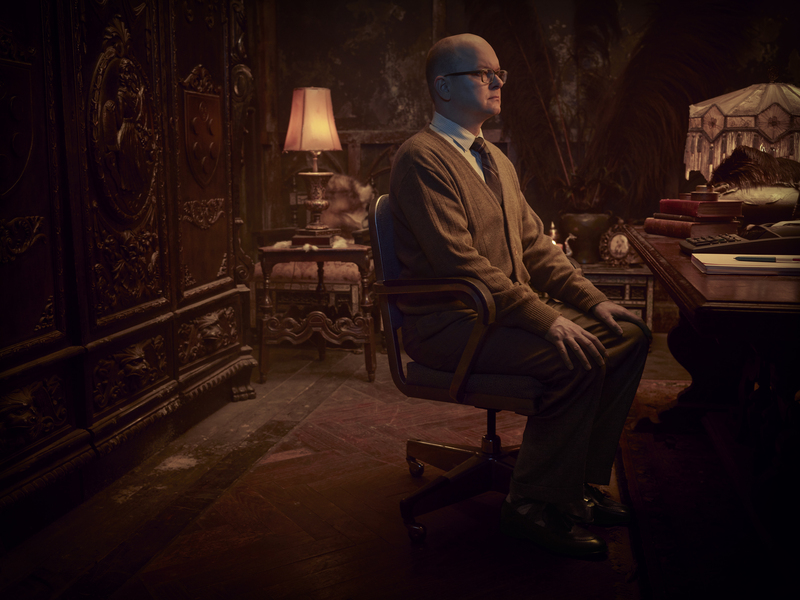 What We Do In the Shadows retains a lot of what worked so well in the feature film, while adding a new location and new set of characters to the mix. The action of the series is set on Staten Island and features the same mockumentary style of the film. It focuses on a group of vampires who fled to the new world 200 years earlier while vampires were being persecuted in Europe. The defacto head of the house is Nandor (“the relentless,” played by Kayvan Novak). His energy is similar to Waititi’s Viago from the film, only not quite as uptight, though he is adamant that his housemates finish their drinks (victims) before starting another because it is unhygienic to leave them lying around. His roommates are a married pair of vampires, Nadja (Natasia Demetriov) and Laszlo (Matt Berry), who have their own interesting chemistry. Nadja stalks a human named Jeff who reminds her of a former lover she beheaded mid-coitus (Laszlo has no idea) and Laszlo is obsessed with having been the handsomest man in the village of lepers he lived in when he met Nadja. The pilot focuses a lot of its energy on Nandor and his familiar, Guillermo (played by Harvey Guillen). The excitement of Guillermo’s tenth anniversary as Nandor’s familiar, paired with his belief that as a reward for his devotion he will be turned into a vampire (which the audience knows won’t happen), makes the eventual disappointment of his unfulfilled wish so comical. Rounding out the house is probably one of the funniest additions to the series, a technically non-vampire roommate named Colin Robinson (the incredibly hilarious Mark Proksch). Colin is a psychic vampire, or energy vampire as he calls himself, and is the only day walker in the group. He prides himself on being able to drain away the energy of his coworkers through boring them with long, pointless conversations, or annoying people until they get incredibly angry. He’s the only kind of vampire that can drain other vampire’s energy. Proksch was born for this role, and every appearance he makes on the screen just solidifies how well his addition to the house works on a comedic level. The other vampire’s dislike for him, and inability to get rid of him, makes him the strongest of the vampires in the house. They try to avoid him at all costs, but he always turns up when they least expect him. Nandor is oblivious to the importance of this anniversary for Guillermo, or the fact that Guillermo has wanted to be a vampire ever since he saw Antonio Banderas in Interview With A Vampire when he was a child. Instead Nandor focuses on getting his housemates Nadja and Laszlo to help arrange a party for the sudden arrival of a powerful vampire from the old country named Baron Afanas. The Baron’s arrival is exciting for everyone, but for different reasons. Nadja and Laszlo each had affairs with the Baron which intrigues them, but they also fear his wrath for them not making the New World a vampire haven. Nandor attempts to decorate a room with cheap crepe paper (which he mistakenly calls creepy paper), cover himself with glitter like a vampire from the Twilight series, and pushes Guillermo to find some virgins for the Baron to feast on. Guillermo finds them in the most obvious place to find adult virgins, a LARPing get together. The great thing about the What We Do In the Shadows series is how it holds close to what made the film so wonderful, and yet transcends it at the same time. This is accomplished by Jemaine Clement and Taika Waititi’s involvement in the entire process. Clement wrote the pilot, and Waititi directed it, which allows them to push deeper into the comedic possibilities of where this story could grow out of the restrictions of a feature film. I laughed out loud a lot during the pilot, and from what I can tell, this is going to be one hell of a comedy series. I can’t wait to see where they take the story from here. 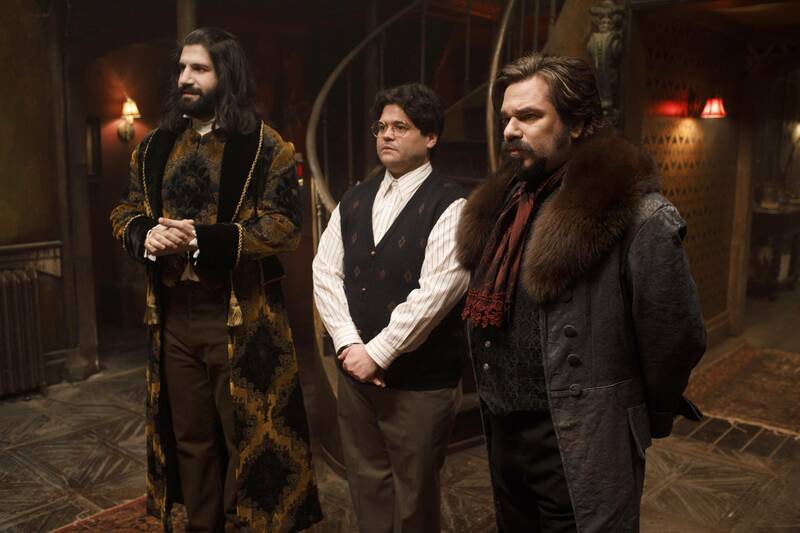 Read all of our reviews of What We Do In the Shadows here.